Paul Gorski's Rockford Sports News – Sports news and commentary from Rockford, Illinois including the Rockford IceHogs, Aviators, Rage, RiverDAWGS, and Riveters; and local college sports, high school sports, and private sports clubs in Winnebago County, Illinois. This site is dedicated to my friend, the late Peter "Pete" MacKay who was a die-hard Illini fan. WE ARE ALSO IN NEED OF REFs AND VOLUNTEERS!!!! PLEASE COME ON OUT AND PARTY IT UP WITH THE LADIES OF ROCKFORD RAGE! Evan Lavery Named Head Basketball Coach at RVC - Rock Valley College didn't have to look far to find a replacement to carry on the recent success of Rock Valley College men's basketball. Rodgers signs record-setting contract extension - Aaron Rodgers is getting another big deal. Packers earn shot at North title - GREEN BAY, Wis. (AP) — The resurgent Green Bay Packers moved one win away from another NFC North title. 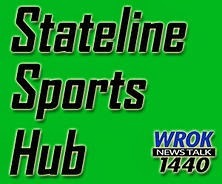 BooneCountySports.com for the latest high school sports in Boone County. Rockford Sports News is dedicated to the memory of my friend Peter M. “Pete” MacKay. Rockford Sports News copyright 2013 ® Paul Gorski. Links may take you to other copyrighted material. Powered by Blogger.